Today was a cold, clear, crisp December day. Mt. Rainier is always a beautiful monument on our Northwest horizon, and it also takes me by surprise after so many cloudy days. I took this through my car window as I crossed the 520 bridge. 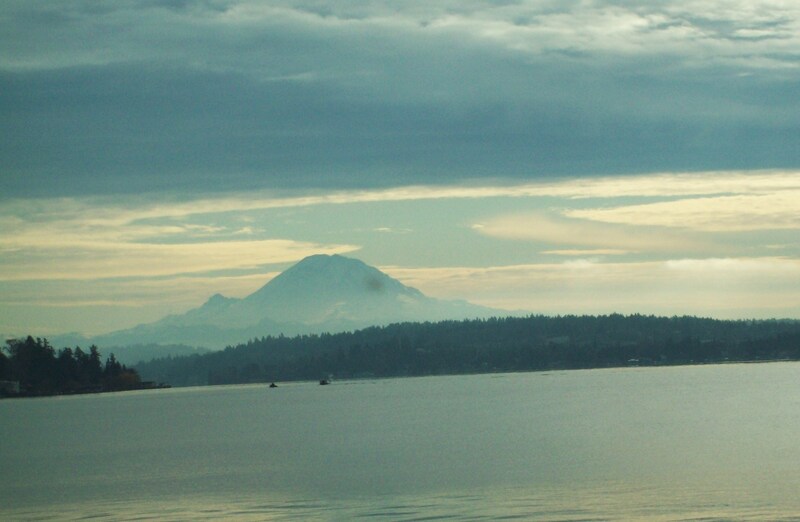 It’s not easy taking pictures while driving on 520 with traffic, but who could resist Mt. Rainier? Do you ever take pictures and drive at the same time? Yes – a very good picture and I agree, it is difficult to take pictures when on the move! One of the great sights I loved when I used to visit my brother when he lived in Seattle…. I love where I live….so much green!